In this editorial, Gerard Bonner , prompted by recent announcements from Kim Burrell, discusses the continuing arguments about Gospel singers releasing mainstream albums. Gerard holds the position of Associate Editor here at GOSPELflava.com. 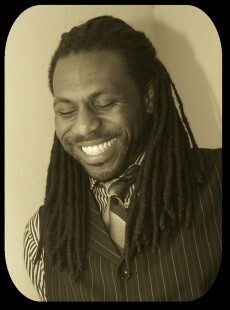 He writes extensively, and can also be heard hosting his own Stellar-nominated internet radio show, Bonnerfide Radio. As the adage goes, the more things change, the more they stay the same. For as long as there has been recorded music, there has been the age old debate within the faith community. Can a believer be effective singing "secular" music? According to Webster, the term secular is defined "of or relating to the worldly or temporal; not overtly or specifically religious". Since that term can be QUITE subjective and could encompass much of what is considered "gospel", we will use the term "non-gospel" for the sake of this discussion. Over time, this debate has seen prominent gospel artists choose to sing non-gospel music. Conversely, time has watched artists who have achieved prominence in non-gospel genres move to the gospel industry to sing God's praises. In seemingly every scenario, the transition has been an event and a source of great controversy. From Al Green and Aretha Franklin to Coko, Kelly Price, and Dave Hollister, these genre switches seem to be big news to the faith-based community. Recently, gospel powerhouse Kim Burrell launched her new website, where she debuted a brand new look, celebrated an international endorsement deal, and announced plans to record her first non-gospel album. That announcement sent social networking sites into a virtual frenzy, debating the success and conventional wisdom of this move. Many felt that Burrell "sold out" or fell victim to the lures of worldly success. There's a LOT to consider with this move. Please indulge me for the next few moments as I share my perspective on this. There are many who make the argument that our gifts were designed to glorify God, with the suggestion that the ONLY way to do that musically is to sing gospel or Christian based, vertical music. If that inference is indeed true, then that principle should be universal across every line of work. Every doctor should only work in Christian hospitals and serve Christian patients. Every carpenter should only construct buildings that will house the worship of God. Following this principle, believers should only purchase "Christian" products or support "Christian" ventures. In reality, believers don't operate like this. In fact, this thought only seems to be applied to the arts. Isn't it funny that we will celebrate a believer finding success and receiving promotion on their "non-gospel" corporate job, but will lambaste the believer who sings and finds success if their "non-gospel" job is a club or record label of another genre? Well, what is the Bible's position on this? In many passages, we are admonished to be a light in a dark world. The Great Commission in Matthew 28:19 tells us to go into the world to convert non-believers. Christ didn't want to take believers out of the world but give them grace and courage to be lights in the world. Those who need this gospel message the most are not those in the church but are those who are unbelievers. Fishermen don't expect fish to meet them at their home address. Instead, they go to the location of the fish offering bait that would compel the fish. Many have considered the "bait" or "hook" to be the urban contemporary styling of this genre. I submit that the true bait is cultural relevance to the unbeliever with the line of demarcation being the character of Christ. Christ's character has nothing to do with attire and everything to do with the attributes of Christ. Just as it is the attributes of Christ that differentiate employees in the corporate workplace, those same characteristics are the clear indicators within the arts. It is the character and integrity we display that show consumers and others within this industry who we REALLY serve. Truth be told, singing the gospel without the character of the gospel makes the gospel song just a nice melody with words. As many question the direction of Kim Burrell, 2010 holds a list of artists who carry the character of Christ into non-gospel genres, garnering respect from fans across all genres. PJ Morton, Ledisi, and Chrisette Michelle are among the artists who are believers that are finding success outside of the gospel genre. The content of their material fused with the conviction of their character are the marks that define their work. Without question, Burrell will add to that impressive list of ambassadors who have been gifted with this unique call. Gerard Bonner writes an editorial on the power of redemption. Click here to go straight to the editorial. The challenge for the believer, consumer and artist alike, is to expand the capacity of our belief system. It takes a true evangelistic call to really infiltrate the world for the cause of the Kingdom. Very few can be trusted with this task. However, instead of finding fault and criticizing those given this assignment, let us pray for their success. As we pray, those whose charge is to sing in this gospel genre should be looking for more ways to get this message out of the churches and into the hands, ears, and hearts of those who need it most. The church does not need the gospel message. The unbeliever needs the message. It is our job to take that message to the world. Either the message will reach the world through the gospel genre or God will call ambassadors to infiltrate the world by giving them influence and an audience within another genre. The true issue here is not the genre you sing but the message that you live. Let's shine the light on living the gospel message. Your profession is not the indicator of your belief system. Instead, your profession is your avenue and opportunity to influence others with your belief system. Whether or not you sing gospel, the responsibility to win the lost still exists. What will you do to fulfill that call? All content in GOSPELflava © copyright 1997 - 2010. All content in GOSPELflava.com © copyright 2010. No information to be reprinted or re-broadcast from this site without the expressed written consent of GOSPELflava.com. All rights reserved.